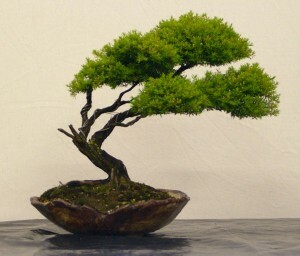 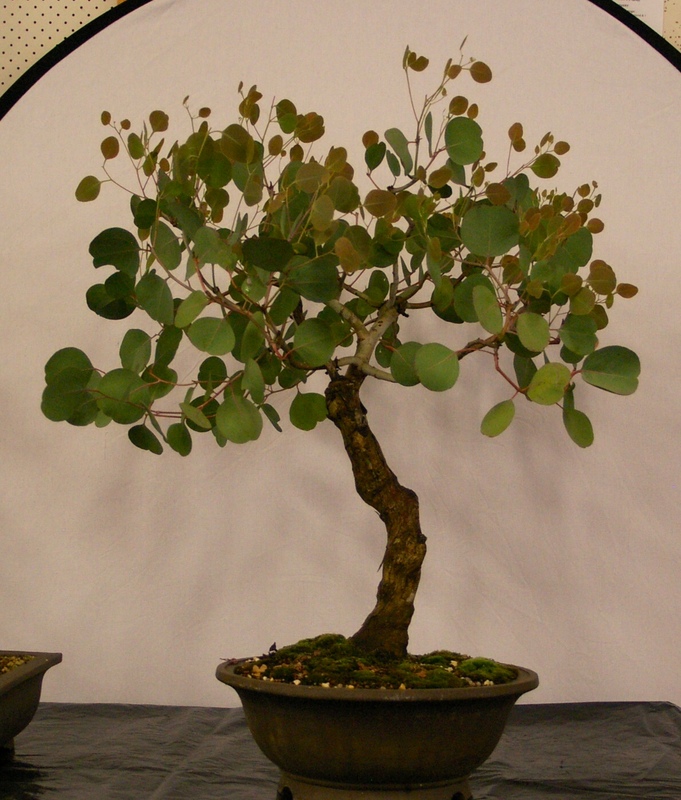 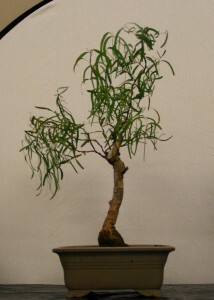 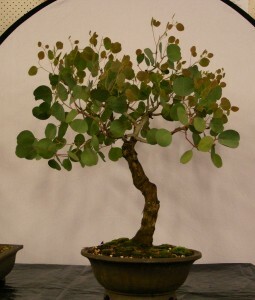 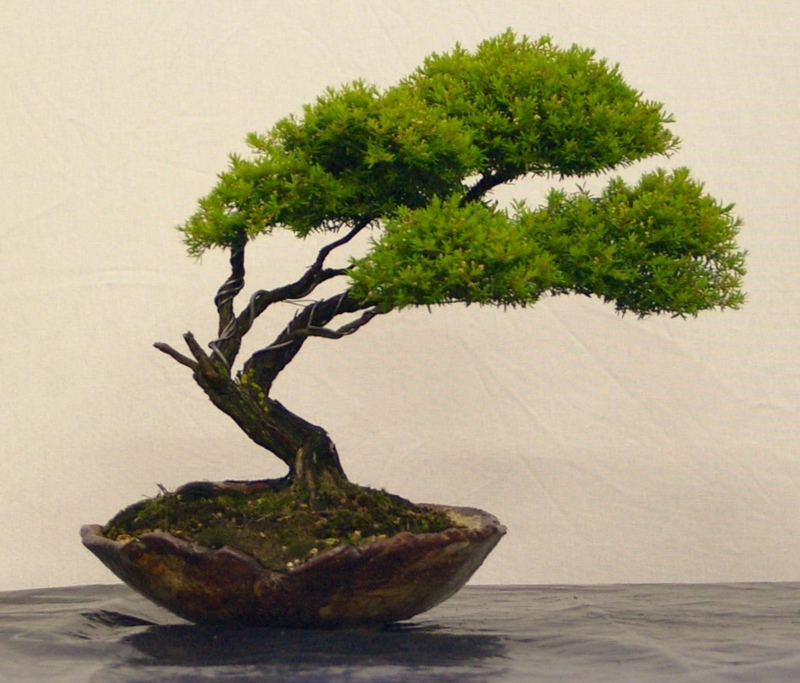 At the November Club meeting, we were pleased to have a presentation and discussion by Hugh Grant, of the Bonsai Society of The Central Coast (NSW). 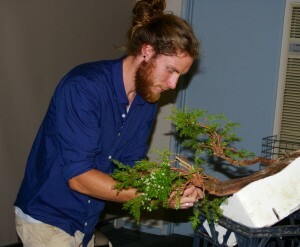 Hugh came to us under the AABC Visiting Tutor Program, and provided a very thoughtful and stimulating demonstration on a collected specimen of Sannantha virgata (Twiggy Heath Myrtle), which he brought with him. 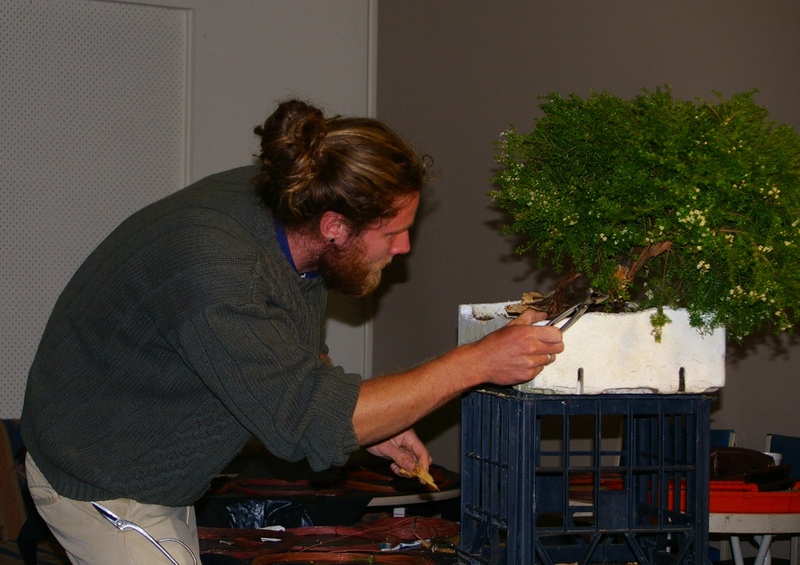 Hugh also provided a range of thoughts on his approach to styling Australian native species generally, and generated quite a bit of discussion amongst members on the topic. Hugh puts a few finishing touches to the tree after much crown reduction and styling.